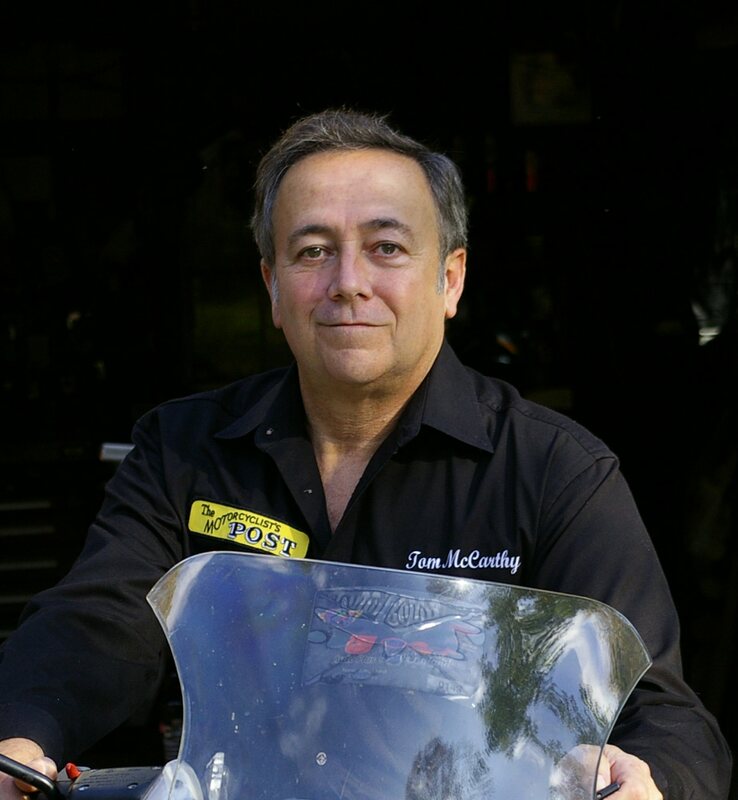 On October 15 -16, 2016, I had the pleasure of attending the 25th Annual AMRA, Jim McClure/Ray Price, Nitro Nationals, as sanctioned by the American Motorcycle Racing Association. This was my first attendance to an AMRA event and I hope it will not be my last. The camaraderie and friendly atmosphere shared by all at the event contributed to its success. On race day, Sunday morning, October 16th, racing was slated to begin at 10AM after church services and the first two bikes of the day were in the water boxes right at 10AM on the dot. 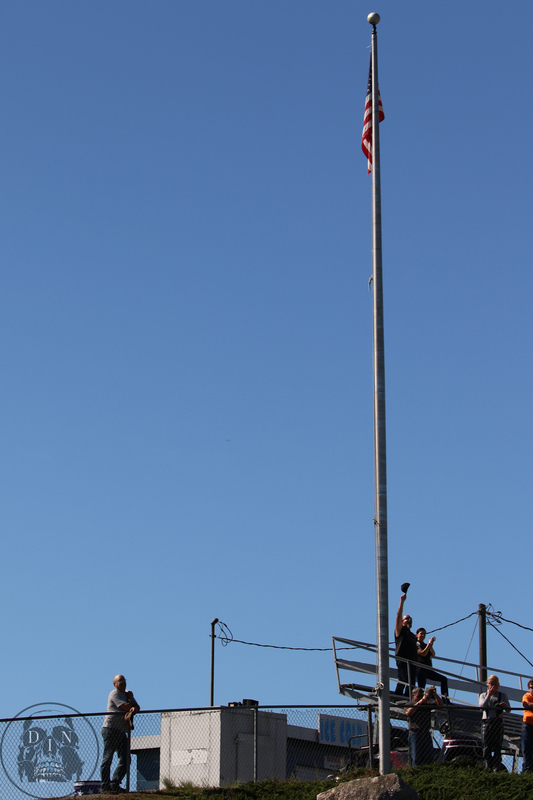 Professional class eliminations were set to begin at 11:30AM and they were preceded by the Pledge of Allegiance prior to the singing of our National Anthem. I’ve been attending motorcycle drag racing events since 1980 and this is the first time I’ve ever heard someone recite the Pledge of Allegiance prior to the start of a race. In these troubled times, with some many people questioning so much about the United States of America, I can’t think of a better time and place to do this. As I looked around the starting line area and across the grand stands, not one person that I could see, was disrespectful of this moment. 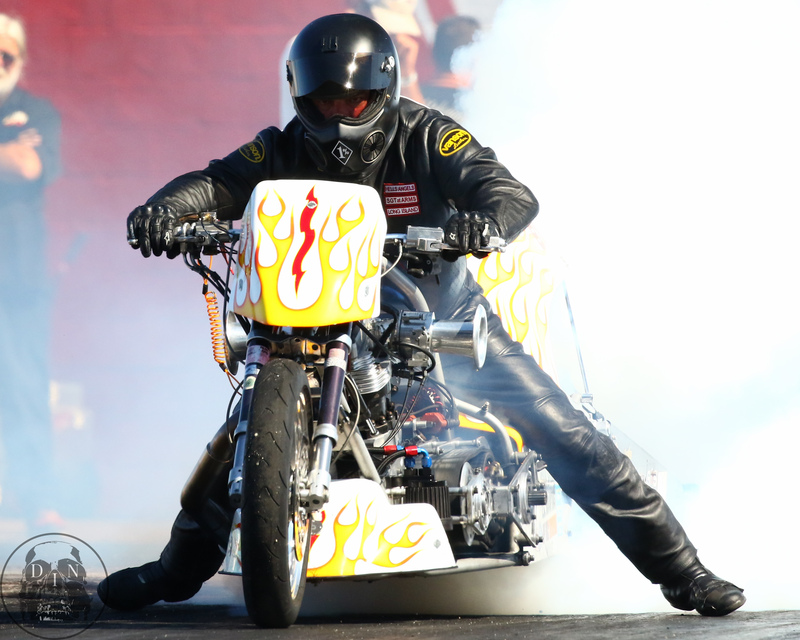 As racing commenced, the Top Fuel Harley class started things off in style. A full dozen of the T/F bikes were at the Rock, a beautiful site to see, I’m sure both Jim McClure and Ray Price would approve of. Kevin Boyer of Edmonton, Canada was the number one qualifier with a 6.35 and he fell first round to Peter Geiss after braking traction. 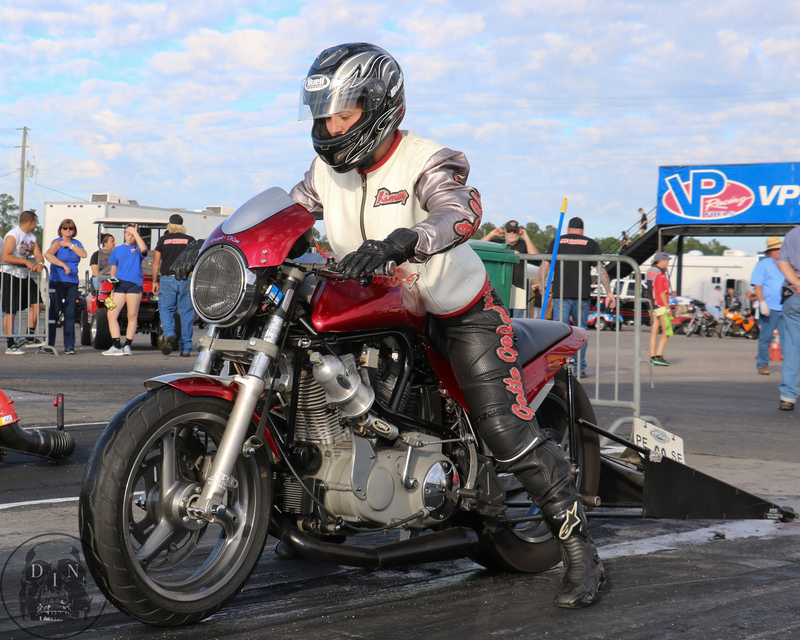 Kevin’s 7.0 was no match for the Bob Spina tuned 6.88 that got Peter Geiss through E-1. 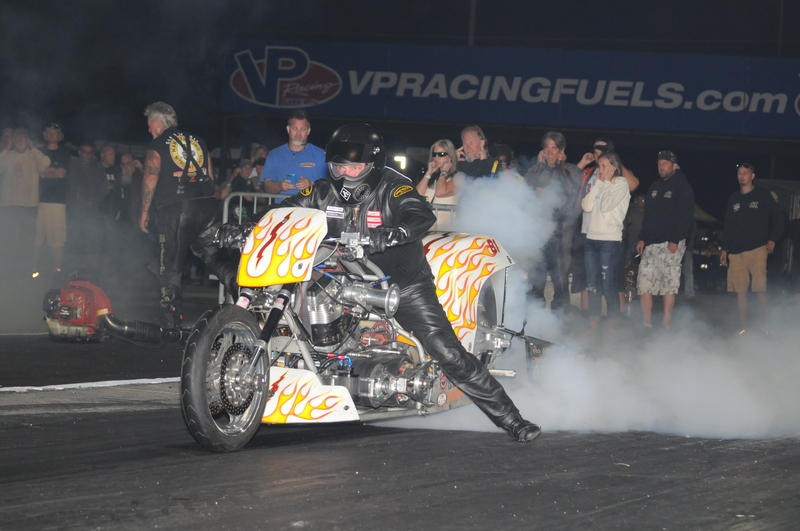 Geiss marched on to the finals and won a peddling match against Tii Tharpe to bring him his first victory in Top Fuel Harley racing. 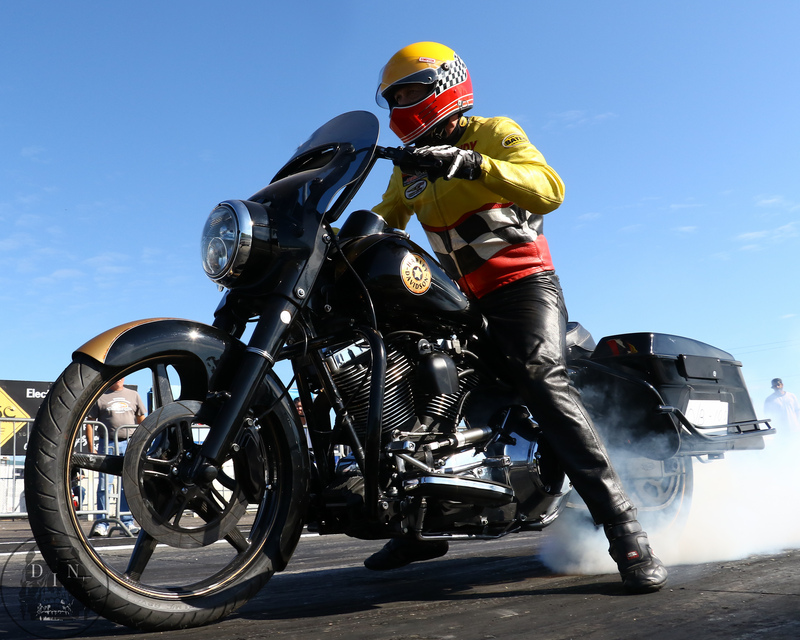 Other contestants in the T/F Harley class were: Jay Turner, Rickey House, Jake Stordeur, Tracey Kile, Frank Capone, Mike Beland, Jim Doyle, Tak Shigematsu and Kevin Garrow. 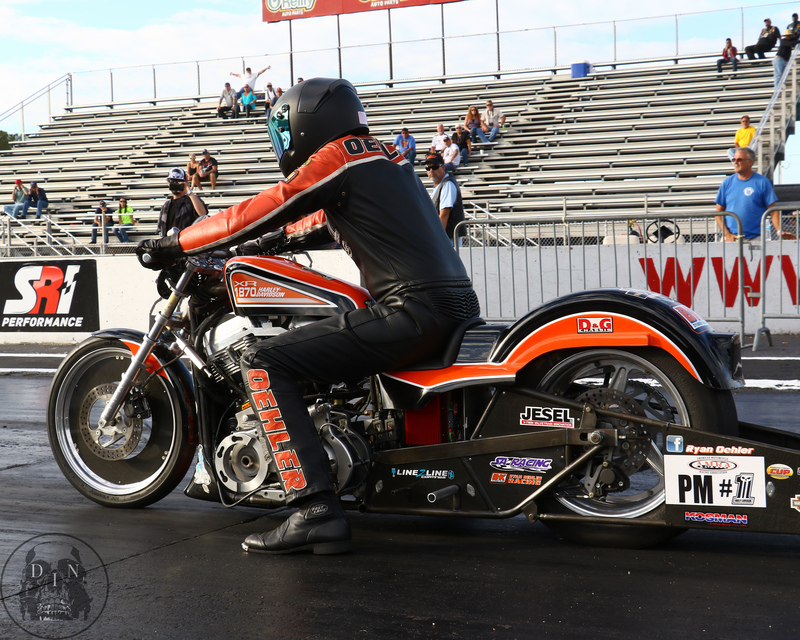 In Funny Bike action, Jack Romine was the man to beat with his 6.73 @ 201 MPH in qualifying to earn him the top spot on the ladder. He then used that muscle to eliminate Keith Browne, Rocky Jackson and Jake Stordeur on his way to the winner’s circle on Sunday. Other contestants in Nitro Funny Bike included Rich Vreeland, Billy Jackson, Jay Beasley and Mark Ingerson. 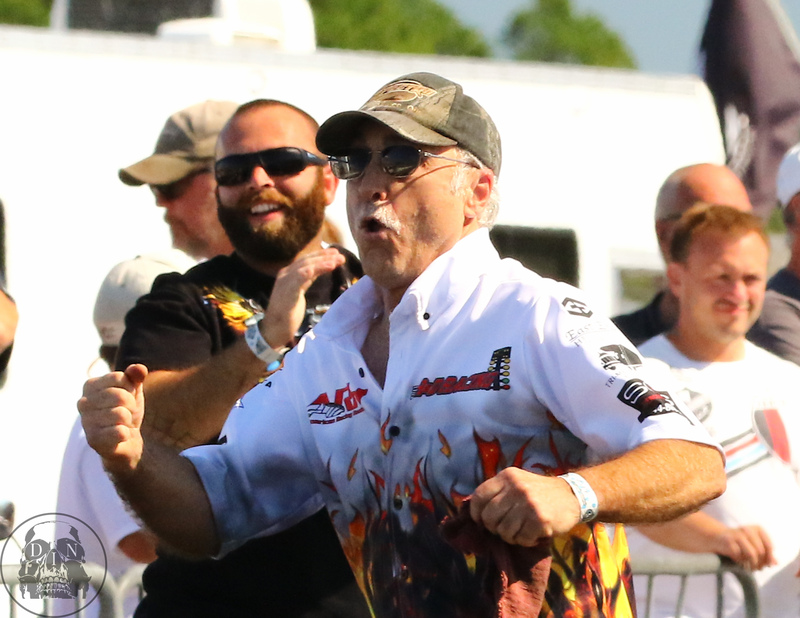 In Pro Fuel class racing, the event competition was nothing short of stellar. 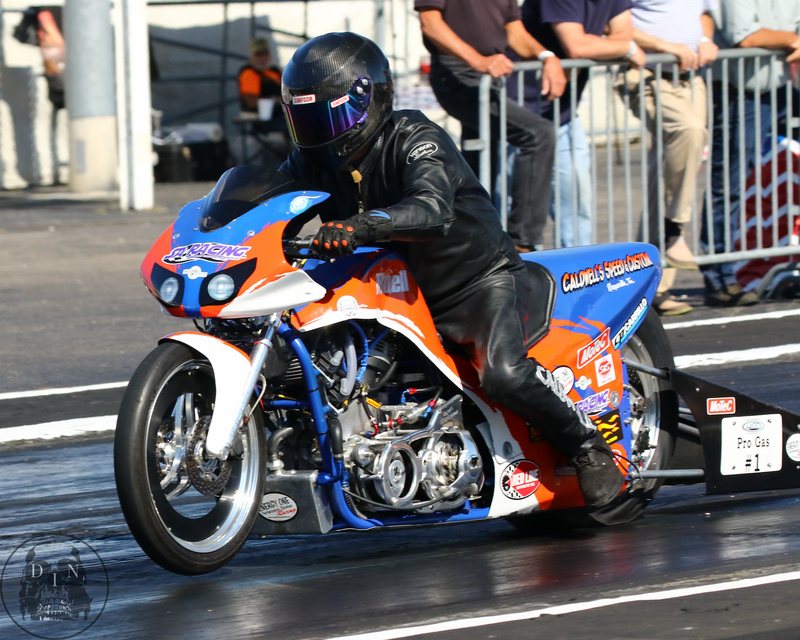 Kirby Apathy qualified number one with an excellent 7.22 @ 180 MPH. The Pro fuel bikes were really a big hit with the fans. 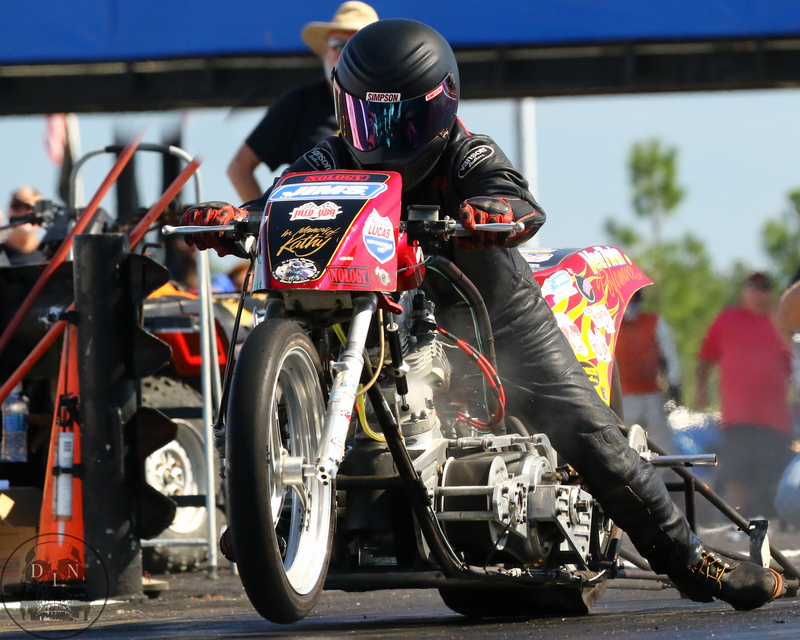 It was especially exciting during E-1 when Janette Thornley was matched up against Kersten Heling for a ladies-only nitro battle! 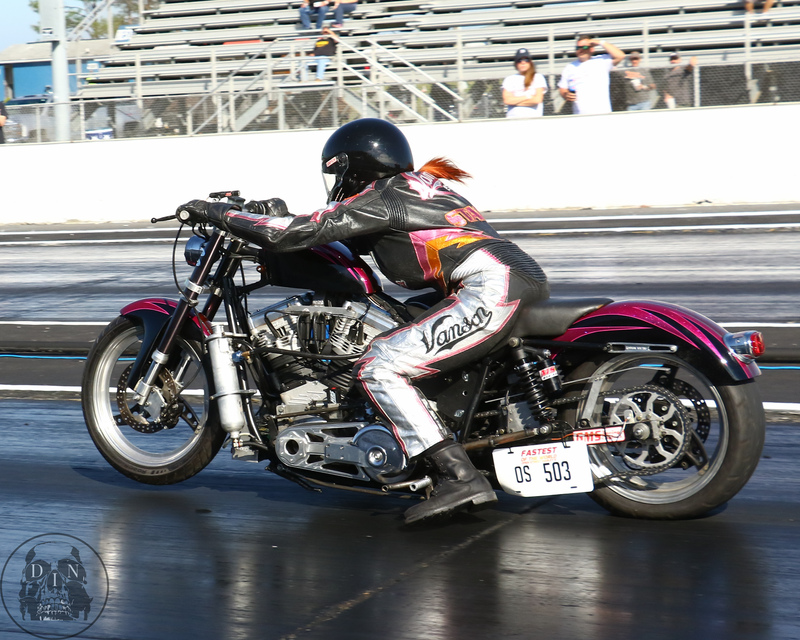 Kersten had the hole shot, but Janette had the power and she marched on to round two. 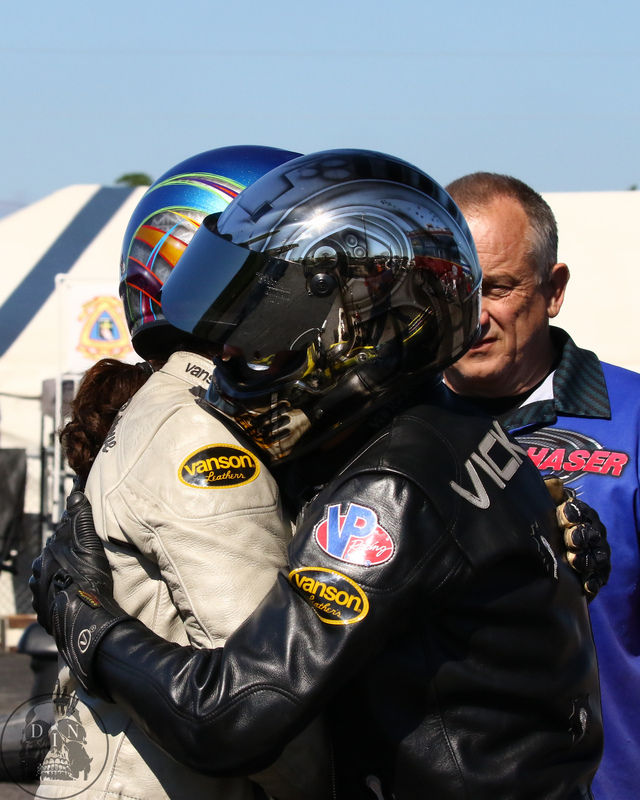 There she met up with Johnny Vickers who sent her packing on his way to the final round. 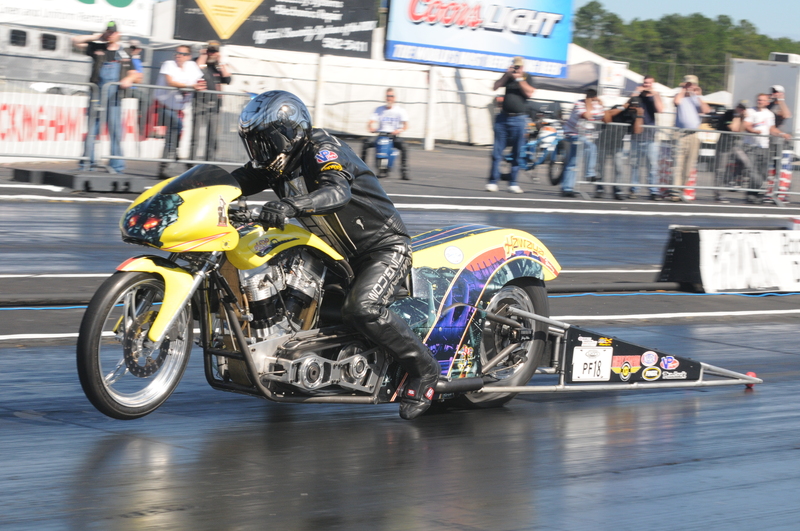 Johnny Vickers of Hawaya Racing, with his new Gen-4, upgrade won the event with a stout 7.25 over Tyler Wilson who delivered a 7.53 in his final effort. 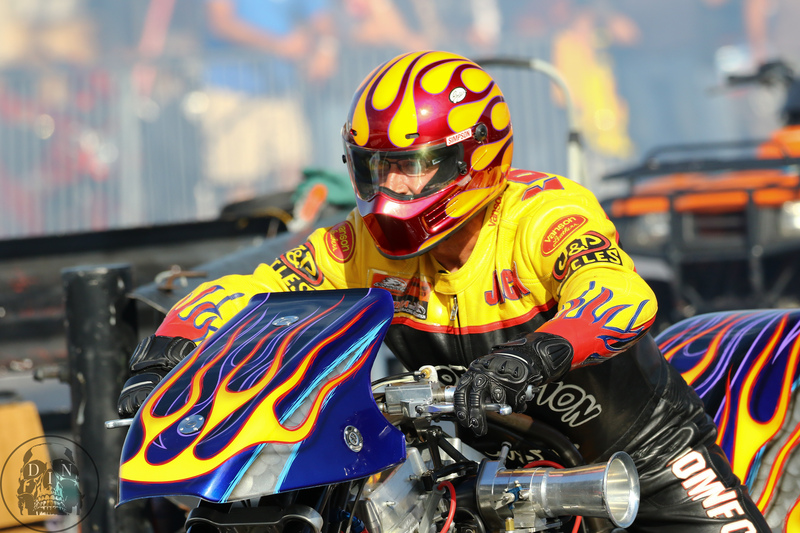 Justin Collier, and John McConnell, also gave it their best efforts in Pro Fuel. In Pro Gas the competition, the competition was lean but the numbers were mean. 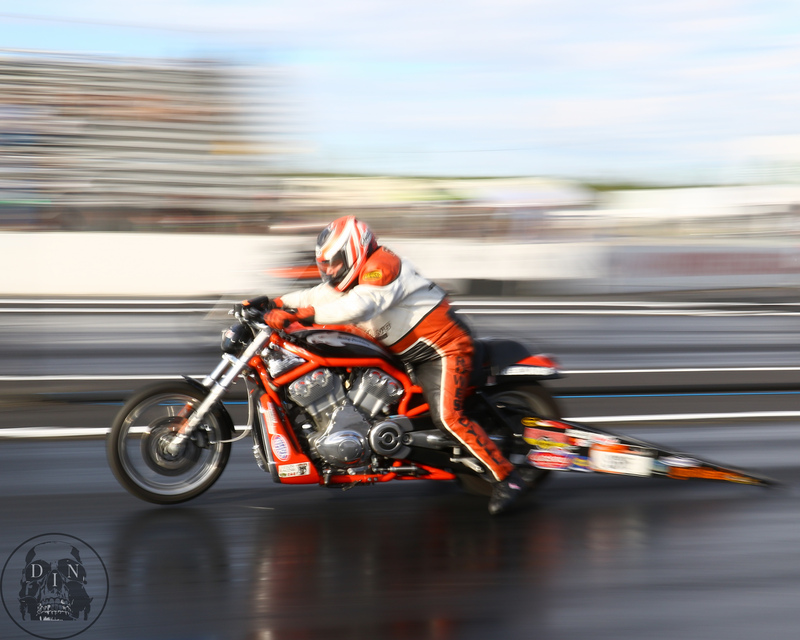 Mike Pearce and Billy Doherty duked it out, just the two of them, and Mike Pearce with a 7.69 @ 170mph was just untouchable. Billy posted an 8.0 in their only competition heads-up match, but with several tenths in the bank for Pearce it was no-contest. In Pro Modified racing, Fly’n Ryan Oehler was the low qualifier (8.30), had low ET for the event in his class (8.309) and he won the event over Shane Pendergrass with an 8.35 to Shane’s 9.0. Tom, Thank you for a GREAT article. 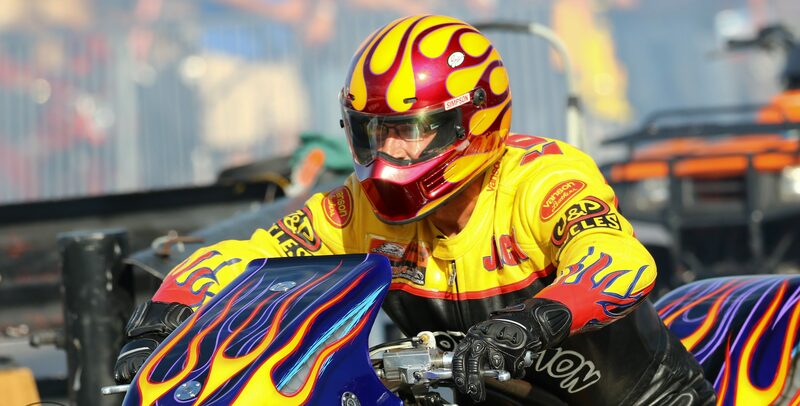 We are GLAD you enjoyed your 1st AMRA Harley race and we look forward to seeing you MORE!